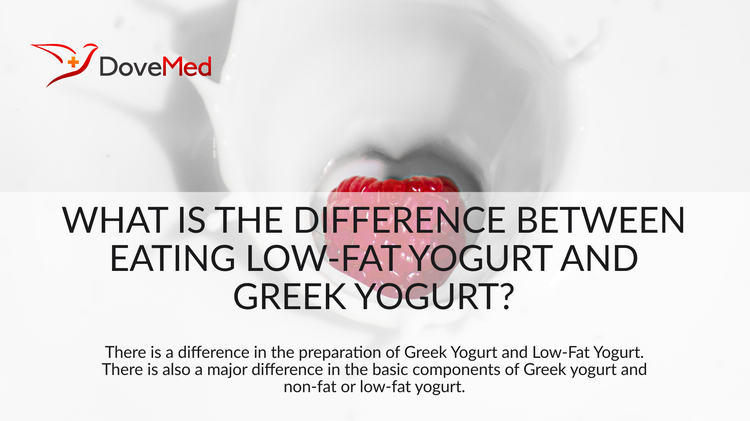 What Is The Difference Between Eating Low-Fat Yogurt And Greek Yogurt? Yogurt forms a vital part of the diet for many around the world. Most of us believe and know that yogurt consumption is good for our digestive system and aids in enhancing metabolism. Yogurt forms a vital part of the diet for many around the world. Most of us believe and know that yogurt consumption is good for our digestive system and aids in enhancing metabolism. New forms of yogurt are arriving in the market, with one among the famous being Greek yogurt. It has won praises for being tastier, creamier, and less sweet. But, whether it is healthier and nutritious compared to its conventional counterpart the ‘low-fat yogurt’, is still a continuing debate! The initial process for the preparation of both low-fat yogurt and Greek yogurt is the same. Milk is heated and then cooled, and bacterial cultures are added to cause fermentation. The milk then produces lactic acid, gelling out milk proteins to form a regular yogurt, which most of us consume on daily basis. When the fat is skimmed off, the remaining yogurt is called low-fat yogurt. When the milk is strained to remove liquid whey and lactose, a thick textured yogurt is formed, which is called Greek yogurt. Besides texture, there is also a major difference in the basic components of Greek yogurt and non-fat or low-fat yogurt. Protein content: Greek yogurt has double the amount of protein present, as compared to a typical low-fat yogurt, which helps promote a feeling of fullness. A typical 6-ounce of Greek yogurt serving contains 15 to 20 grams of proteins, which in a typical non-fat yogurt will is about 9 grams, which can cause increased hunger. A research study published in Journal of Nutrition Research in 2012 led by Dr. H. Wang suggested how regular yogurt consumption, both Greek and non-fat, can increase protein intake enhancing metabolic activity and digestion. Fat content: Greek yogurt contains about three times the amount of saturated fat than a low-fat yogurt, increasing the level of LDL “bad” cholesterol and putting you at risk of various harmful cardiovascular disorders. Greek yogurt contains 16 grams of saturated fat as compared to 5 grams of fat in low-fat yogurt. Carbohydrate content: Opting for Greek yogurt over low-fat yogurt can be a smart choice for people who are trying to lose weight. It contains about half the carbohydrates than what’s present in a low-fat yogurt. According to a research paper published by Kari Hartel in the Journal of Dietetics and Nutrition, the straining process removes most of the sugar, lactose, and milk found in a regular low-fat yogurt, making it a perfect companion for the lactose intolerant. Sodium content: Greek yogurt contains about half the sodium found in low-fat yogurt. A single serving of Greek yogurt provides about 50 mgs of sodium, which is exactly about half the amount in low-fat yogurt. The recent Federal Government’s Dietary Guidelines published in 2010 suggests a daily intake of 2,300 milligrams of sodium and 1,500 milligrams, if one is above 55 years of age. Indulgence in too much sodium can increase blood pressure and cause kidney damage. The type of yogurt you choose depends entirely on your needs and dietary preferences. If you are looking for a superfood that will fulfill your hunger and provide you with adequate amount of proteins and calcium without compromising on your health and fitness level, Greek yogurt may be a good companion. Marette, A., & Picard-Deland, E. (2014). Yogurt consumption and impact on health: focus on children and cardiometabolic risk–. The American journal of clinical nutrition, 99(5), 1243S-1247S. Desai, N. T., Shepard, L., & Drake, M. A. (2013). Sensory properties and drivers of liking for Greek yogurts. Journal of dairy science, 96(12), 7454-7466. Brennan, C. S., & Tudorica, C. M. (2008). Carbohydrate‐based fat replacers in the modification of the rheological, textural and sensory quality of yoghurt: comparative study of the utilisation of barley beta‐glucan, guar gum and inulin. International journal of food science & technology, 43(5), 824-833. Serafeimidou, A., Zlatanos, S., Laskaridis, K., & Sagredos, A. (2012). Chemical characteristics, fatty acid composition and conjugated linoleic acid (CLA) content of traditional Greek yogurts. Food Chemistry, 134(4), 1839-1846.